Create NSW are offering training to assist individuals and organisations to complete their Regional Cultural Fund applications. The training is aimed at first-time grant applicants and/or first-time users of SmartyGrants. Teleconference training will begin this week and will run every Thursday and be repeated on Monday for the remainder of the expressions of interest period. To participate in the teleconference, you will need access to a landline or mobile with reliable coverage. There may be a cost associated with calling the teleconference line, please check with your telecommunications provider if this is of concern. Don’t forget applications close Monday 4 September 2017 at midnight – start the process now so you don’t run out of time. If you would like to talk to someone about your application, email regional@arts.nsw.gov.au or call 8289 6575. 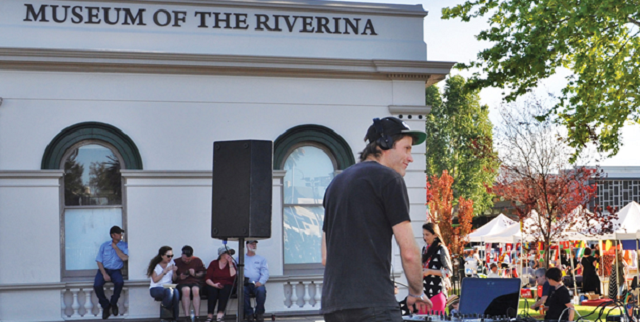 The Regional Cultural Fund Website has been updated to include a sample application form to assist applicants in the Expression of Interest process for a small scale grant. The answers provided in the sample form represent the minimum level of detail required to assess your project. Applicants are encouraged to provide as much detail as possible. This could include, but is not limited to, previous submissions to council, quotes, diagrams, photos or business cases. These items can be attached towards the end of the application form.